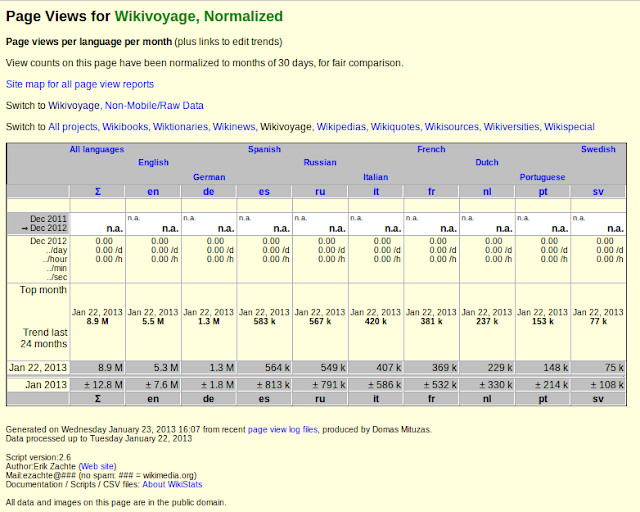 Page views are now also collected for Wikivoyage. At this stage it is indicated that they are page views from non-mobile devices. It is likely that the mobile page views will follow at a later date; Wikivoyage is after all the resource for people who are travelling or are about to travel. The Europeana blog enthuses about "Europioneers" and asks if you know anyone who you would like to nominate someone as one of "Europe’s finest technology entrepreneurs." Europeana is a great initiative. It brings European culture to the Internet and it is becoming increasingly relevant and useful. Culture is an export product and at one time everything was ready to make the Europeana software available in Chinese and other languages that are not official languages of the EU. This is still a great idea and the software had been localised in many languages. Several languages were fully localised and then, then it was decided by someone "higher up" that it was not such a good idea after all. 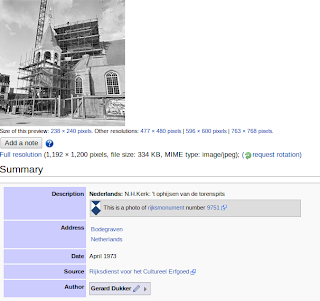 Pioneering is about breaking ground and, translatewiki.net did this for the world, Europe and Europeana. Given that Europe's finest technology entrepreneurs can be nominated, I nominate Siebrand Mazeland not only for his unrecognised work for Europeana but also for the important work he and his team do for the internationalisation and localisation of software and for the platform where people actually can do this work. Once upon a time, there was the encyclopaedia that could. It lived on the Internet and people approached it from their laptop or computer. Statistics showed how it grew in the different languages. At a later date there was this application in Ruby on Rails that provided a better experience for people reading Wikipedia on mobile phones. It was significantly different and it showed great potential. The statistics for mobiles were available separately. There was even a statistics page combining the two. Nowadays, the Wikipedia experience on mobile phones has improved a lot. As a result the mobile traffic in January 2012 is 14.7% of total traffic and, the traffic from mobile phones is responsible for most of the growth in traffic for Wikipedia. It is quite reasonable to show the all inclusive statistics from the Wikipedia statistics page. Obviously the breakdown in traffic from mobile and non-mobile is relevant. They are important for the people who care for these numbers. The Wikipedia traffic does include traffic from mobile and the combined statistics show most clearly that the appetite for quality information is still growing after all these years. A lot has been said about the untimely death of Aaron Swartz. It is sad that a life with so much promise comes to an early end. I met Aaron at Wikimania, he presented there as well. 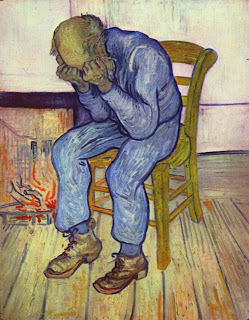 Aaron like me and many other Wikimedians suffered from depression. The circumstances were not favourable for him; there was a real chance for him to go to jail. He could not cope with that possibility, he committed suicide. Depression is a killer. For the people prosecuting Aaron, his case was business as usual. Now that he is dead, they have come to realise that Aaron was anything but usual. Many of the people who read and edit Wikipedia suffer from all kinds of psychiatric disorders. For many of them being a Wikimedian is therapeutic. If anything I wish that more people realise that many people who suffer from psychiatric disorders do contribute to the common good. The Wikipedia in Hungarian is the first Wikipedia that makes use of Wikidata for its interwiki links. This is great news because the bots that update these links are no longer needed. This will make it much easier to resolve the many issues that exist with the old interwiki approach. The way to update interwiki links on the Hungarian Wikipedia is now by updating Wikidata. Recently many of the messages that support Wikidata have been localised in Hungarian making it much easier. I hope that many Hungarians will find their way to Wikidata and make it a success. It will be awesome once the old interwiki links have gone the way of the dodo. In preparation for that day, you can check out if there are messages in your language that need localisation. Great news from the #ngadc, they dig the public domain!
" 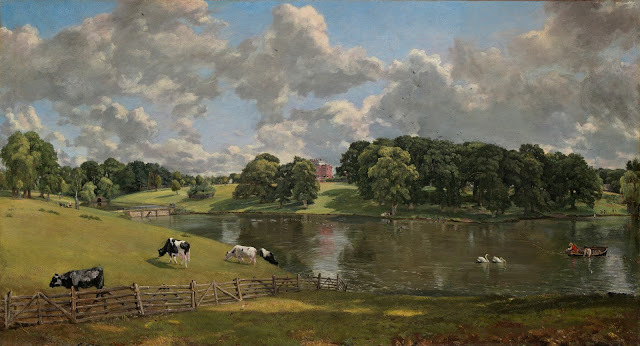 With the launch of NGA Images, the National Gallery of Art implements an open access policy for digital images of works of art that the Gallery believes to be in the public domain. Images of these works are now available free of charge for any use, commercial or non-commercial. Users do not need to contact the Gallery for authorization to use these images. They are available for download at the NGA Images website (images.nga.gov). See Policy Details below for specific instructions and notes for users." The realisation that public domain is best expressed by providing the public with access to this important resource. Once the GLAM people have a working relation, there are so many more things that can be done. This is a great step forward and the world is a better place because of it. Wikispecies is one #Wikimedia project that is probably the least well known. It exists only in one language; English. It aims to include all the species and all the other levels of the nomenclature of plants and animals. The nomenclature is a system that relates many different levels together. As the information is available in Wikispecies and, it is possible to present this in a different way. The resulting "tree of life" is really interesting and it deserves attention. 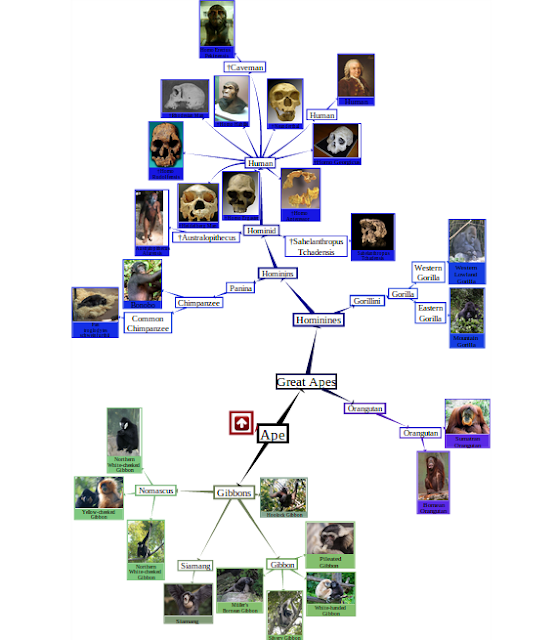 Read the announcement on the Wikispecies village pump below and check out the illustration of all apes at the bottom. Apart from being fun to play with, one purpose this can serve is to help spot erroneous links on Wikispecies. For example, the plant family Melastomataceae is currently listed as containing Dionycha, which is a group of spiders. I've already corrected a bunch of these errors locally, so they're no longer visible in the tree linked above. However I wasn't sure how to go about correcting them on Wikispecies. Presumably what the person who entered "Dionycha" intended was something like "Dionycha_(Plantae)", so I shouldn't just delete the link, right? In any case, here is a list of erroneous links I noticed. If you're interested in using this as a tool for verification, here is an uncorrected version based on the most recent dump (2013.01.05). Some further issues are also discussed there. I have counted to ten .... waited some more, and more ... and am not happy with the Featured Pictures practices of Commons. They are only about technical considerations and an absolutely stunning picture, a spectacular picture good enough to win the Wiki loves Monuments 2012 world wide competition fails to qualify. On one level, I do not need to care; it is for that in-crowd to play their game. On the other hand they expect us to cherish their best in the picture of the year. In a world that is not black and white, most of their pictures are nice. 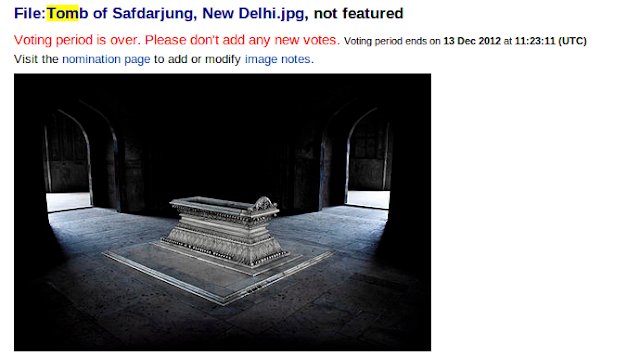 Most pictures however do not impress me as much as the winning picture of Wiki loves Monuments 2012. Many Wikipedia articles describe something "foreign". 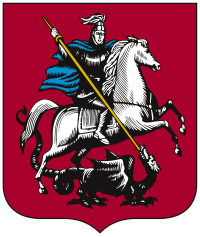 For instance Moscow is known in the Russian language as Москва. It is a best practice to mention the native name of a subject and include the pronounciation expressed in IPA as well. When an article includes text in multiple languages, it is important to be able to identify what text is in what language. Several purposes are served in this way. enable data mining for the building of spell checkers. The standard for identifying text as being in a specific language in a web page is well defined. At the start of a text the language should be identified and the end of text in that language needs to be identified as well. When a Wikipedia article is parsed, such tags make it possible to enable relevant technology for that language. This is of particular relevance for the "smaller" languages because a Wikipedia in that language is quite often the biggest corpus. Research of such a corpus is a lot easier when all words that are explicitly in another language are marked as such. Adding such tags is relatively easy. To a large extend bots can be used to add them. Making use of these tags in how MediaWiki works is something else. Tagging is however the first step that needs to be taken and, there is no reason I know of why this can not be done at this time. A lot of hard work has gone in developing Wikidata. It is getting at a stage where the localisation of the "Wikibase - client" extension (only fourteen messages) needs to be done. Of particular interest is the localisation in Hungarian; they are likely to get the Wikidata functionality implemented as one of the first. As always, localisation of software is done at translatewiki.net. As always there is more that you can do for your language. #Wikipedia states: "It is believed that #dyslexia can affect between 5 and 10 percent of a given population". There are some 315,113,038 USAmericans and therefore there are something like 23,633,478 people in the USA who have a problem with Wikipedia; they find Wikipedia hard if not impossible to read. The Website of Dyslexia USA has on its information pages a very simple drop down box. It offers 8 different background colours. Each background colour helps a different group of people with dyslexia. It is a cheap and easy way of growing the numbers of readers of Wikipedia in the USA. Add to this the Open-Dyslexic font we are waiting for and we help them to the resource that has been there for all the rest of us. PS It will work for people in other countries or who speak other languages too.